Classes designed to suit all ages and abilities. 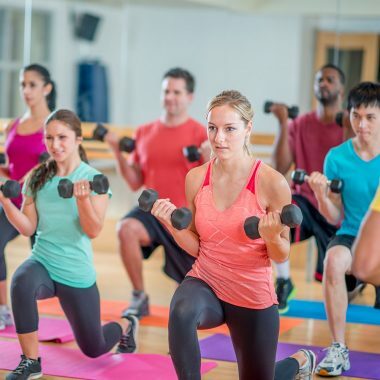 Offering variety to your workout, classes can be enjoyed sociably as well as helping you to achieve better weight control, agility, flexibility, strength and stamina. We provide a varied class timetable that includes a mixture of fitness and relaxation classes. You will find popular favourites such as circuits, spin and aqua and even a few of the latest fitness trends… Zumba and Kettlebells! All of our classes are suitable for mixed ability levels and with more than 60 classes per week we are sure there is something for everyone! Every class will be delivered by a qualified and engaging instructor, who will help you to get the most out of your regime. Plus, there is no need to queue or telephone to book in for your fitness class as at Carshalton as we boast the latest technology that enables members to secure a place on your fitness class instantly online!